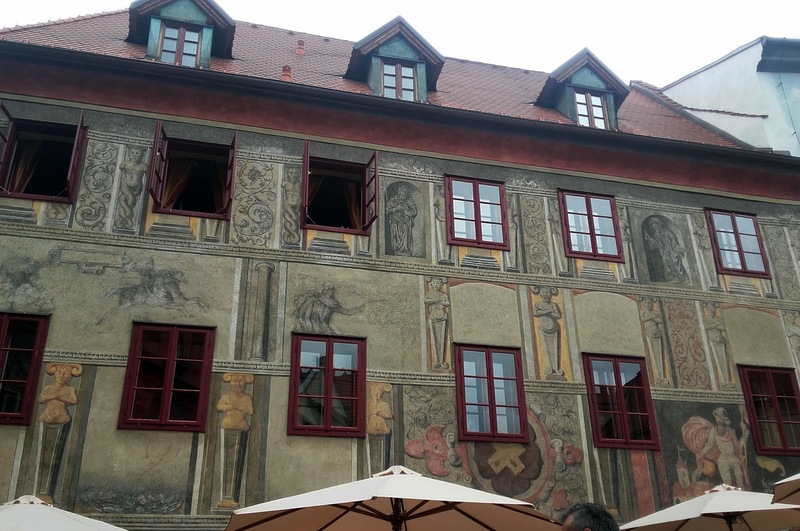 I took a guided tour to know about the lovely place and so that I didn't have to walk around with a map and with big chances of getting lost and not finding everything before my bus left for Prague again. It was nice and I also met people from around the world so that's definitely something to try on your own. The family of Vítkovci built the town and caste at a ford in the Vtlava River, which was an important route for commerce in the region. Later in 1302 the town was acquired by the House of Rosenberg. Most of the people were German and Czechs were a mere minority. They still had their preacher and the local language was used until 1788 when their church was abolished. 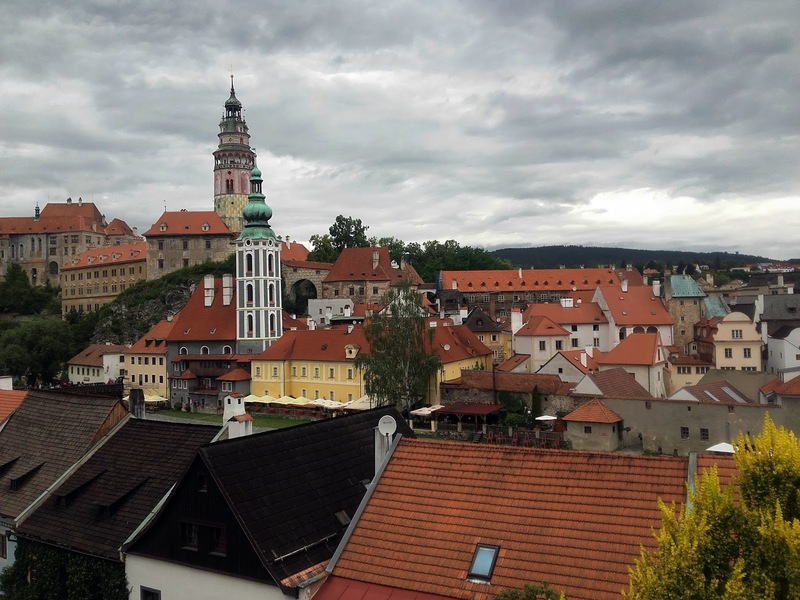 In 1602 the Emperor Rudolf II bought the town and gave it to his Austrian son, Ferdinand II –who gave Krumlov to the house of Eggenberg and the town was under the name of Duchy of Krumlov. The structure and architecture of the town are mostly Gothic, Renaissance and Baroque. After the WWI the city was declared part of German-Austria, but by the end of 1918 the Czechoslovak army took the region back. However in 1938 it was annexed by Nazi Germany according to the Munich agreement. After WWII the German population was expelled from the town and it belonged to the Czechs again. 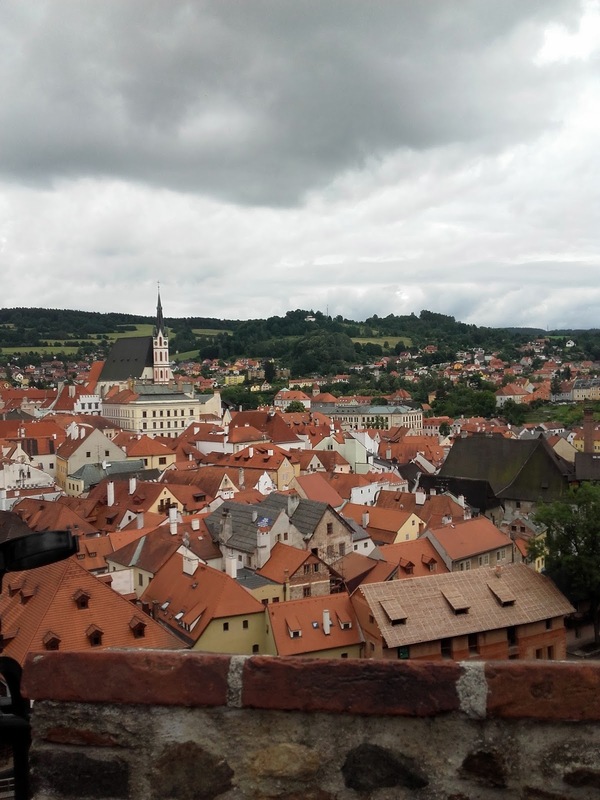 During the Communist period, Krumlov fell into disrepair but after the Velvet Revolution most of the town was restored. Now it is a popular place to visit, despite the great damage it suffered in 2002 due to the floods of the Vtlava River. 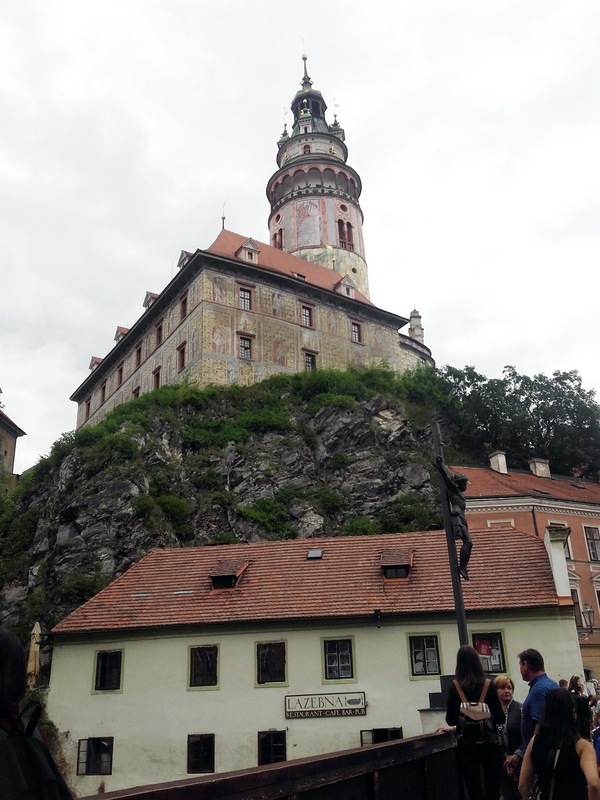 Castle: it is a grand caste considering the small size of the town (the 2nd biggest in extent after Prague’s castle area). Inside the castle there are rococo gardens, bridges and the castle itself which is made of different parts dating from different periods of time. The garden was not maintained during the 2nd half of the 20thC, the place was included in the 1996 World Monuments Watch by the World Monuments Fund. It was reconstructed thanks to the financial aid by American Express. The church of Sv. Víta is a Gothic church from the 15thC. Castle theater: this Baroque theater is only used three times a year due to its age. 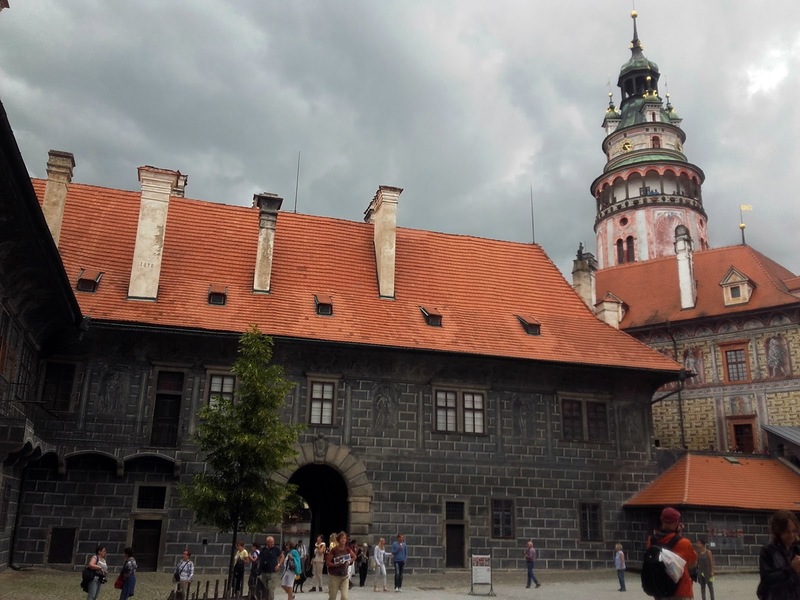 Adolph Schwarzenberg was the last owner of the castle, the castle received an amount of money for the defense of Czechoslovakia against the Nazi thread. His property was taken by the Gestapo and then confiscated by the Czech government in 1945. What other UNESCO World Heritage Sites are worth visiting? Which places have you seen?